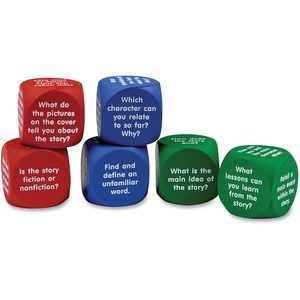 Reading comprehension cubes liven up your reading discussion with comprehension questions featured on each side. Questions are designed for use before reading, during reading and after reading to provide a complete learning experience. Cubes help students focus their attention on what they are learning and help them think actively as they read. Cubes can be used for individual or group use. Cubes are designed for children ages 6 and up.